Cannot be Normal Summoned/Set. Must be Special Summoned by a card effect. If this card is Special Summoned from the hand or Deck: You can double this card's original ATK/DEF, until the end of the next turn. 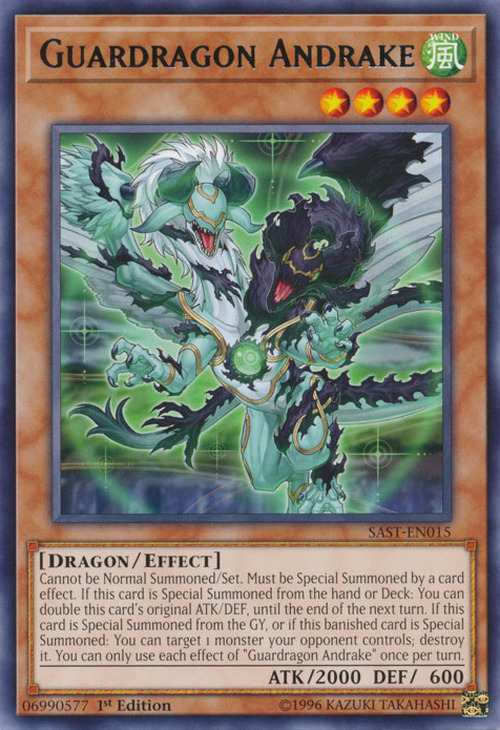 If this card is Special Summoned from the GY, or if this banished card is Special Summoned: You can target 1 monster your opponent controls; destroy it. You can only use each effect of “Guardragon Andrake” once per turn. 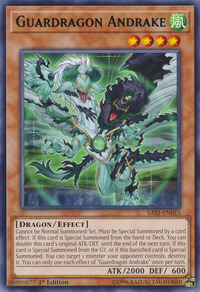 This monster appears in the card artwork of Guardragon Corewakening. This monster is being World Legacy - World Ark 'awakened' as Guardragon.